Macedonian from Moruovsko, Smiljevo – Bitola. Serbian national costumes by Vladimir Kirin. 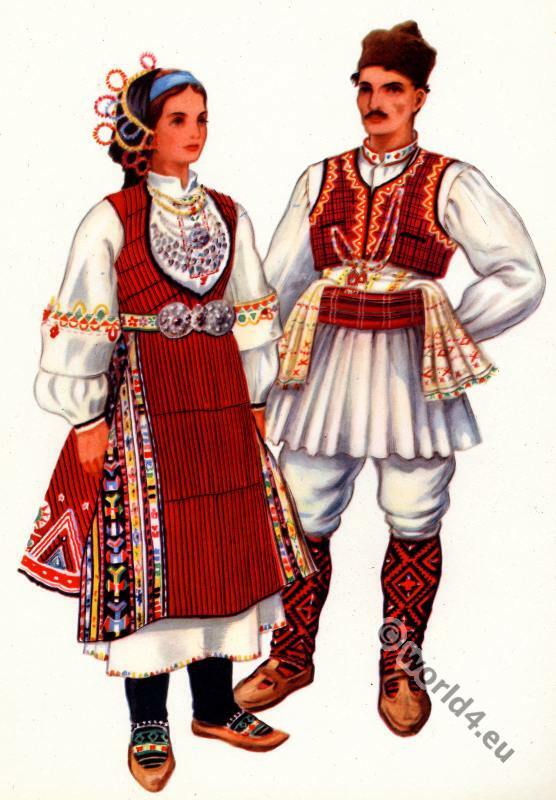 Srpske nacionalne kostime. Vladimir Kirin (1894 – 1963). was born as the second of six children in the family of Francis and Mary Kirin Kelemenec. 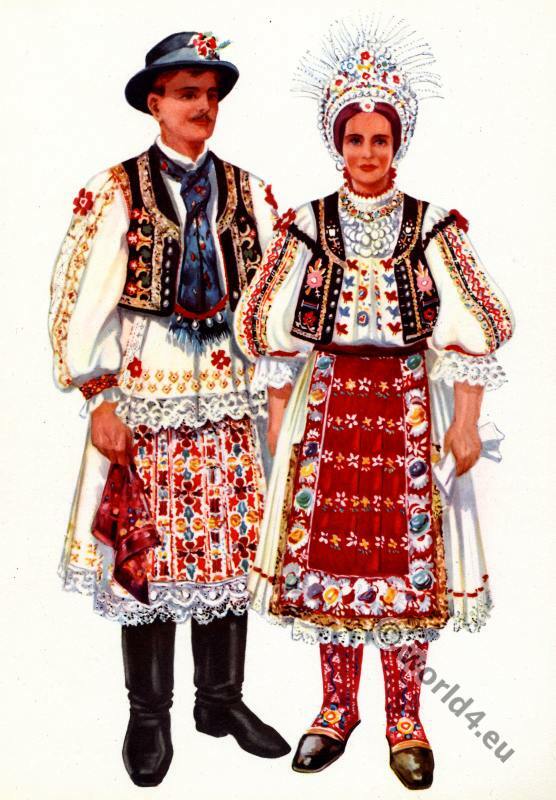 Father Francis was an operetta singer and actor at the Croatian State theater. 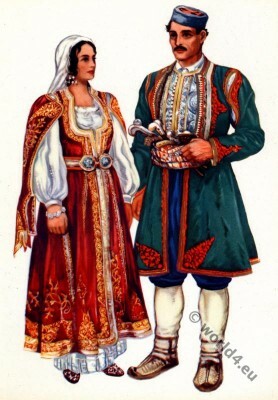 Vladimir Kirin attended the Academy of Arts in Vienna; studied and worked as a draftsman in London. He painted landscapes, cityscapes and portraits and published numerous graphics and drawing maps. 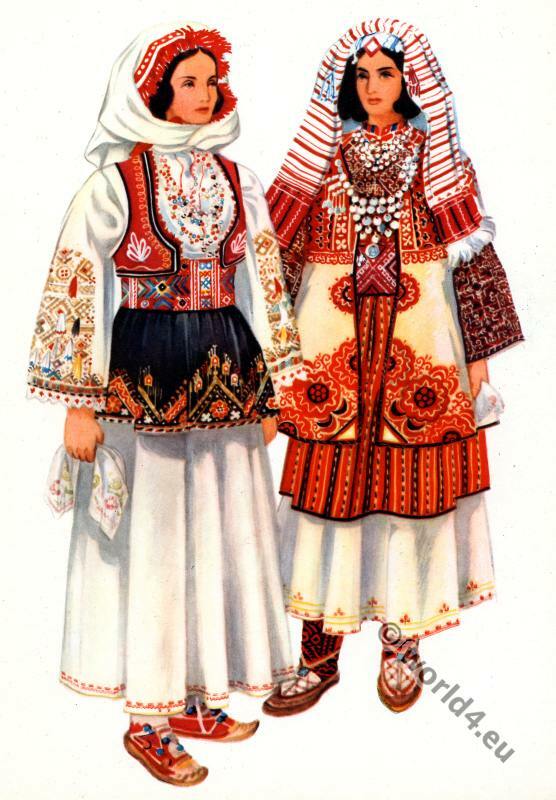 He worked as an illustrator of books and equipment; credited with improving the graphic design of books in Croatia. 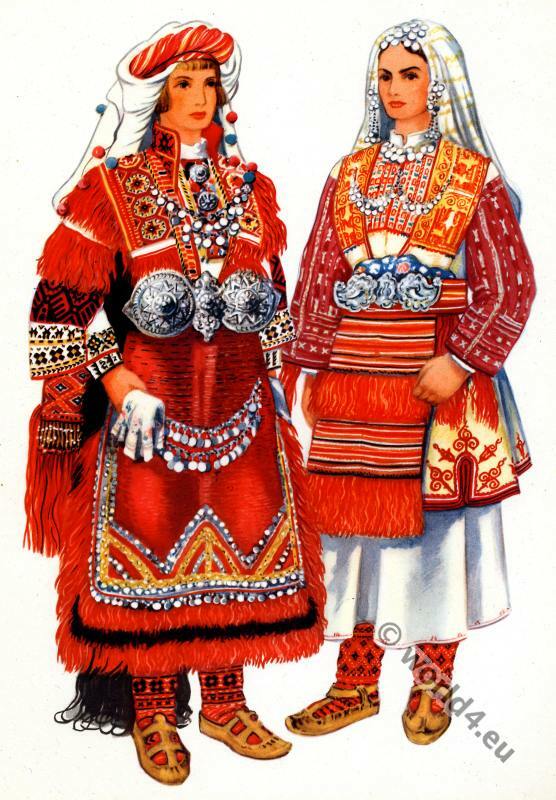 Costumes from Crna Gora, Risan. 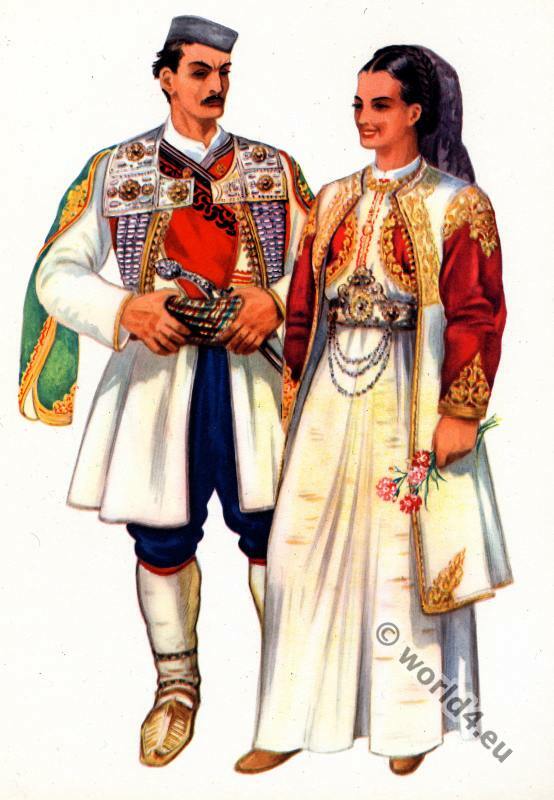 Serbian from Niš – Pcinje. Serbian from Prizren, Sredačka pupa. Macedonian from Skopska crna gora. 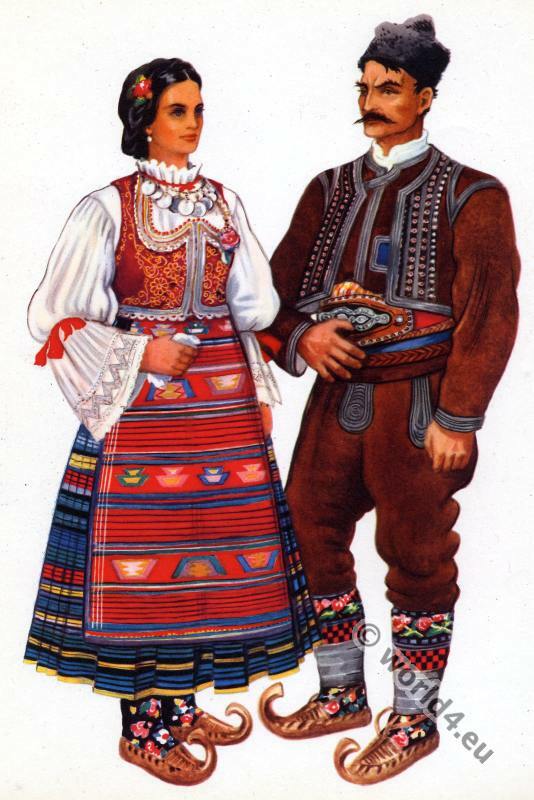 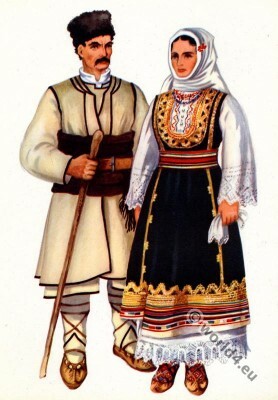 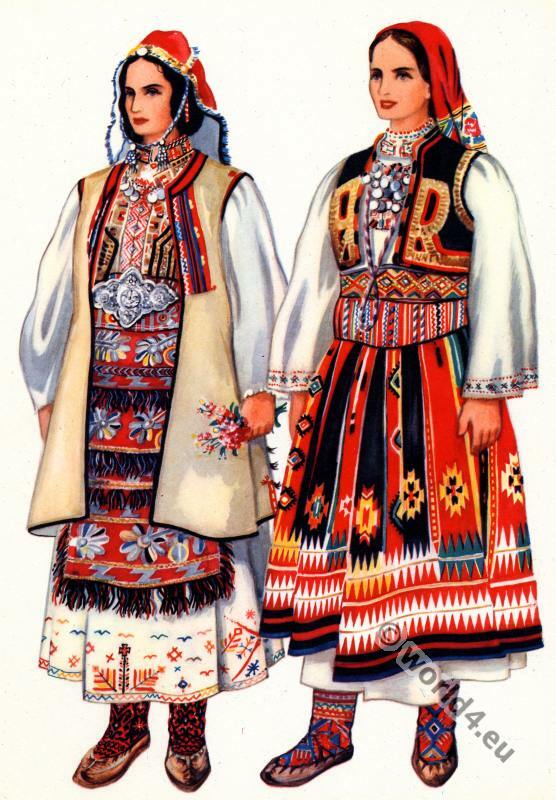 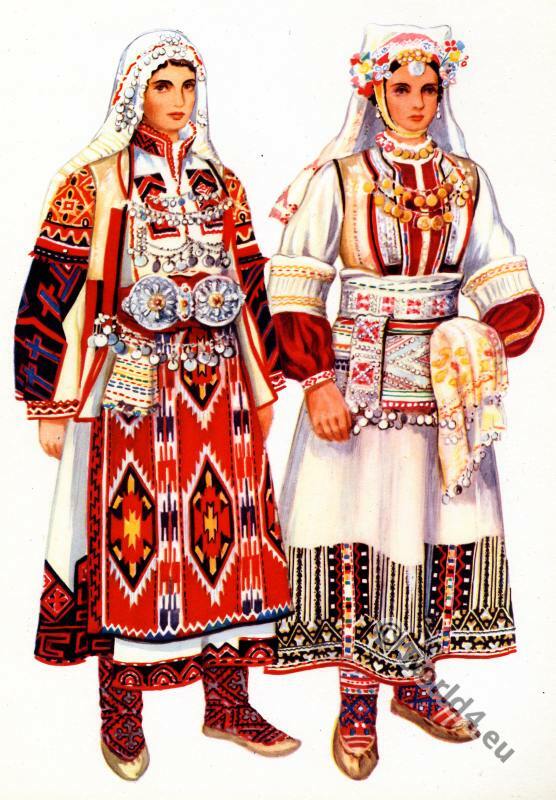 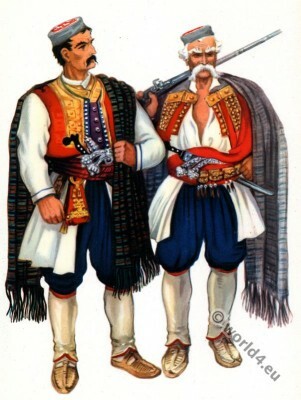 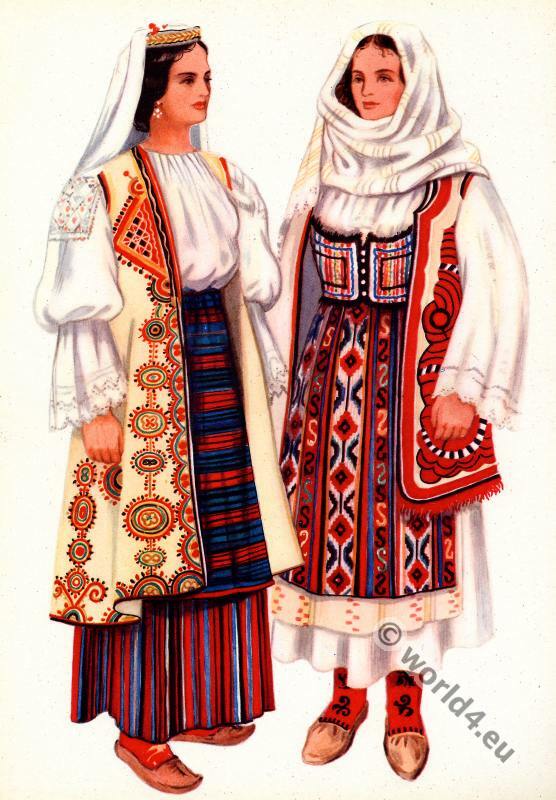 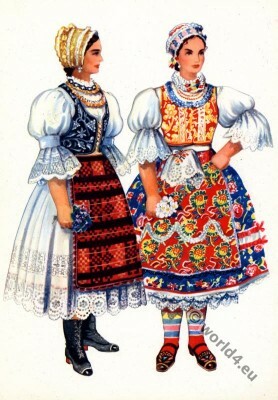 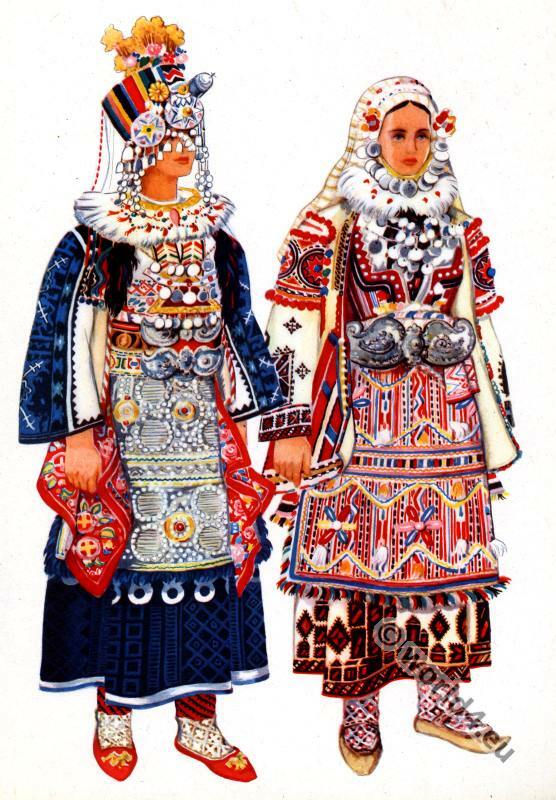 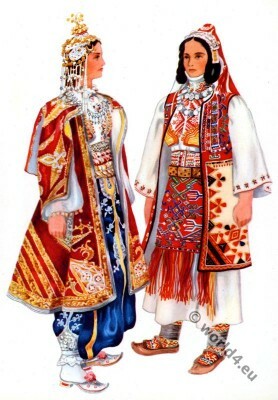 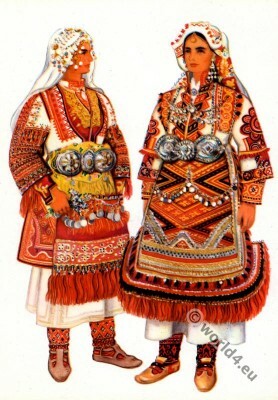 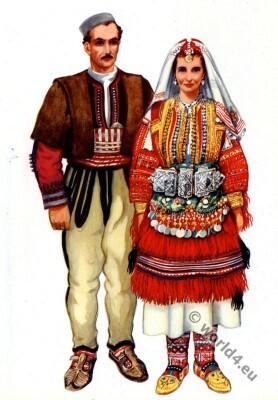 Macedonian costumes from Moruovsko, Smiljevo – Bitola.